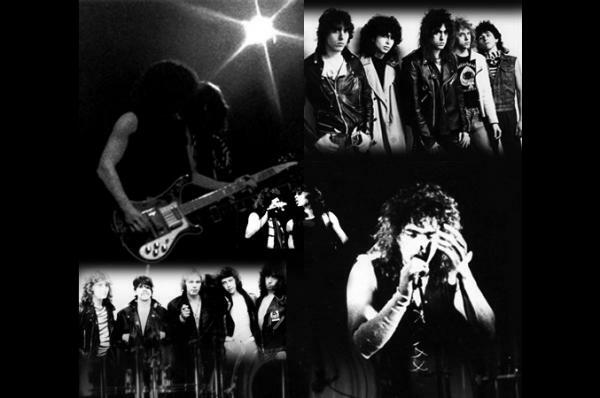 HIGHWAY CHILE, a traditional Metal band formed in 1981 with a line-up comprising of vocalist Armand Van Der Stigchel, guitarists Ben Blaauw and Martin Mens bass player Ernest Thimister and drummer Ernst Van Ee. Their debut album "Storybook heroes" was hailed by critics as the ascender to the throne of Def Leppard. Five star reviews and raving critics in the USA and abroad however, were not sustainable enough to bring the band into major water due to a being Dutch based and being signed to an independent record label in the USA who could not market the band properly compared to major label. Thanks to the internet, people are now rediscovering one of the greatest metal albums ever recorded and sharing great songs such as Headbangers and Jesse James. Copyright � 2009 Highway Chile, Inc. All rights reserved.